In late 1971 John Lennon left London and pop stardom behind and moved to New York City, eager to join a youth movement rallying for social justice and an end to the Vietnam War. Lennon was embraced by radicals and revolutionaries, the hippies and Yippies at odds with the establishment. Settling in Greenwich Village, the former Beatle was soon on the front lines of the antiwar movement, championing causes and inspiring solidarity—and suspicion. Seen as a savior by a generation in need of cultural heroes, Lennon was just as passionately hounded by a government anxious to silence enemies within its borders. The Walrus and the Elephants is told by the unlikely cast of friends, among them the members of Elephant's Memory, who were some of the few who got to know the man behind the Beatle. Exclusive interviews include writer and feminist leader Gloria Steinem; Congressional Black Caucus cofounder Ron Dellums; "Chicago Seven" veteran Rennie Davis; immigration attorney Leon Wildes; and legendary poet-activist John Sinclair, whose imprisonment for marijuana—ten years for two joints—kicked off Lennon's American journey. It was a busy year of making music and controversial TV appearances, allies and enemies. It was a time of great change in America, one that saw the end of the movements of the sixties, the beginning of a new era. 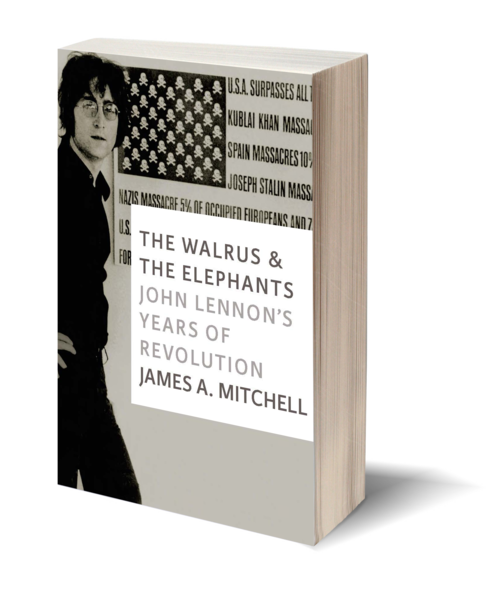 The Walrus and the Elephants is a look back at that time and at the John Lennon who joined the revolution, through the eyes of those who dreamed, rallied, and fought alongside him. JAMES A. MITCHELL is the author of But for the Grace: Profiles in Peace from a Nation at War, the story of an orphanage in Sri Lanka’s war-torn northeast; the rock biography It Was All Right: Mitch Ryder’s Life in Music; and the tale of a rural newspaper, Applegate: Freedom of the Press in a Small Town. A reporter and editor for more than thirty years in New York, Michigan, and as a US Army soldier-journalist, Mitchell has written on a wide range of subjects for newspapers and magazines including Entertainment Weekly, the Humanist, Video Business, and Starlog. In South Asia, Mitchell produced video features for CNN’s iReports. He lives in Southeast Michigan and works for a non-profit organization that supports the Grace Care Center for Children in Sri Lanka. 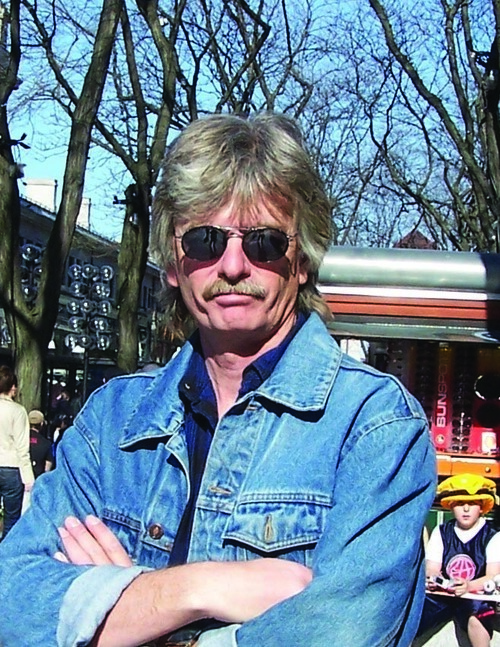 Mitchell also makes frequent appearances before community and civic groups regarding Sri Lanka, and has appeared on radio and TV shows to discuss Detroit rock and roll.